Real Foods has 2 wholefood and organic products stores which stock Palestinian olive oil, olives, maftoul (couscous) and dates from the Zaytoun brand. 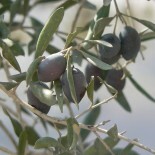 Most of Zaytoun’s certified Fairtrade olive oil and olives come from the Jenin area of the West Bank, and dates and couscous are sourced from Jericho. This entry was posted on November 28, 2012 by Sarah Irving in Food, Olive Oil and tagged couscous, dates, Edinburgh, Fairtrade, Jenin, Jericho, Leith, maftoul, New Town, olive oil, olives, Palestine, Tollcross, West Bank.